we want to reflect back on the people, places and things we’ve photographed in the last year. 2015 has brought us to many new adventures, faces, and places that have been a pleasure to capture. We’ve visited many of New York’s beautiful lakes (some twice), some of our favorite venues (some twice), gotten very wet at some weddings, met some pretty cool animals (some in the form of cardboard cut-outs), made our fourth trip to NYC together, spent time playing with water in the studio, made friends with a lot of wee ones, and logged a lot of miles. We worked with our second and third “Stefanies”, had three “Adams”, engagement sessions with two “Ginger” grooms-to-be in one weekend, and currently have a LONG list of expectant past clients (what’s in the water these days??). We’ve seen so many smiles, lots of happy tears, and captured a plethora of silly faces. Sometimes, it hardly feels like work. Our kitty, Smeagol, who had two emergency surgeries right in the middle of a a busy wedding season, is now doing well after giving us a few panic attacks. Thank you, to everyone who showed concern, and wished him well while he was recovering! Our year was exciting, fun, and at times pretty crazy, but we couldn’t be more thankful for all of you who were a part of it. Without all of you, we would just be sitting at home taking selfies, and photos of Smeagol (and he loathes that). In honor of all of those who have been in front of our lenses this year, we put together this slideshow as a tribute to you. YOU are what makes it all worthwhile! Though it was agonizing to narrow them down, please enjoy the highlight reel below, of some of this year’s favorite moments. As we say a bittersweet “Goodbye” to 2015, we are excited and inspired by all the people, places, and things that 2016 has in store for us! 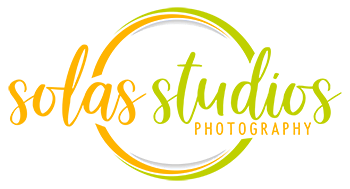 « Solas Studios Celebrates Small Business Saturday!